Horizon Zero Dawn update 1.21 for PS4 is now available for download. The update fixed crashes, quest progression issues, Photo Mode problems and more. The new update also fixed an issue with the ‘Show HUD on touch’ menu option not resetting to the default value. Check out more details below. Horizon Zero Dawn update 1.21 fixed an issue with the interaction markers when set to ‘always off’ in the custom HUD menu. If some players positioned the camera through a bandit’s body the interaction markers would appear visible again. Horizon Zero Dawn update 1.21 fixed an issue where some players could suddenly be thrown from a Tallneck’s head and killed when it makes a very sharp turn during its path. 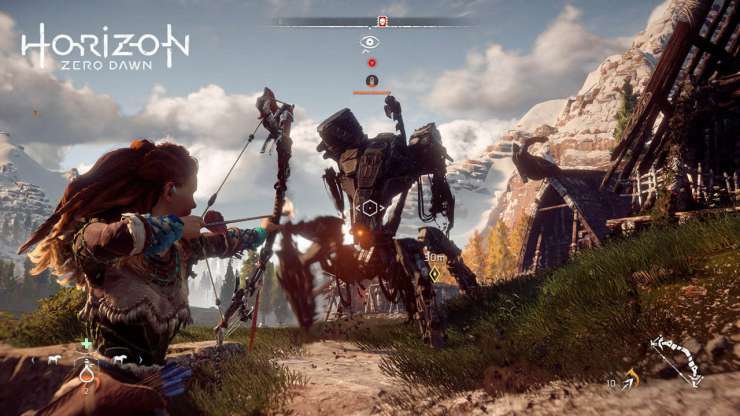 Horizon Zero Dawn update 1.21 fixed an issue with Aloy twisting and bending if the player selects the ‘Look At’ toggle shortly after closing the focus. Horizon Zero Dawn update 1.21 fixed an issue in “Hunter’s Blind” where some players cannot progress past Hunter’s Blind and follow Talanah because Aloy was bound to the sequence of “The City of the Sun” quest. Horizon Zero Dawn update 1.21 fixed an issue in “Deep Secrets of the Earth” where some players were not able to obtain the datapoints in Sobeck’s office if the player wants to pick them up after the explosion caused by Helis, as they have disappeared. Horizon Zero Dawn update 1.21 fixed various miscellaneous crashes. Check your game update and download latest Horizon Zero Dawn patch 1.21.